Last Thursday my husband, daughter, and I went to an Asian Art museum to see Tibetan Buddhist monks making a beautiful sand mandala. 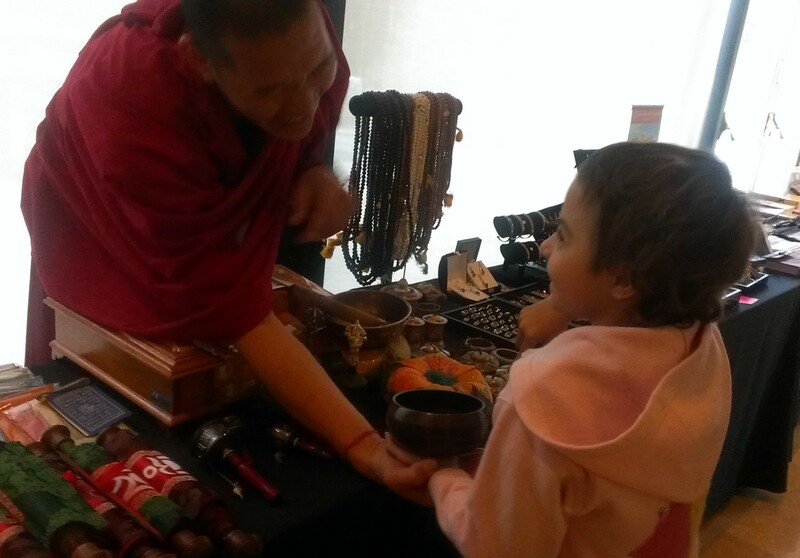 My daughter got to try out the tools that the monks use to make the mandala, and she learned how to use a Tibetan singing bowl – from a Tibetan monk! She was a bit overwhelmed by the idea that she had seen and spoken with a monk. She thought it was unbelievably cool, since she’s seen many pictures of them online, but I don’t think she ever expected to meet one. I think they always seemed far away. She is one lucky girl!